As you are heading out of the door for your run, what are your essentials? We all have our own personal list of essentials when it comes to working out. Even Ward (aka Mr. Running With The Girls) and I have differences. 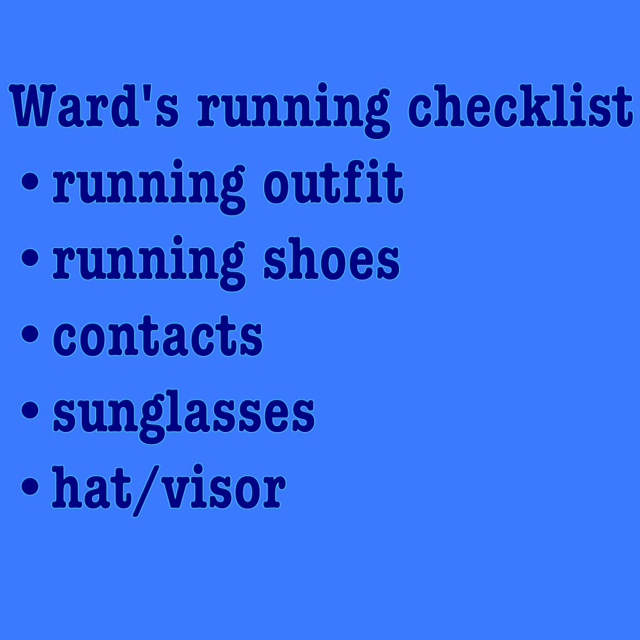 Ward wears glasses and contacts, really depending on the activity or how his eyes are feeling. 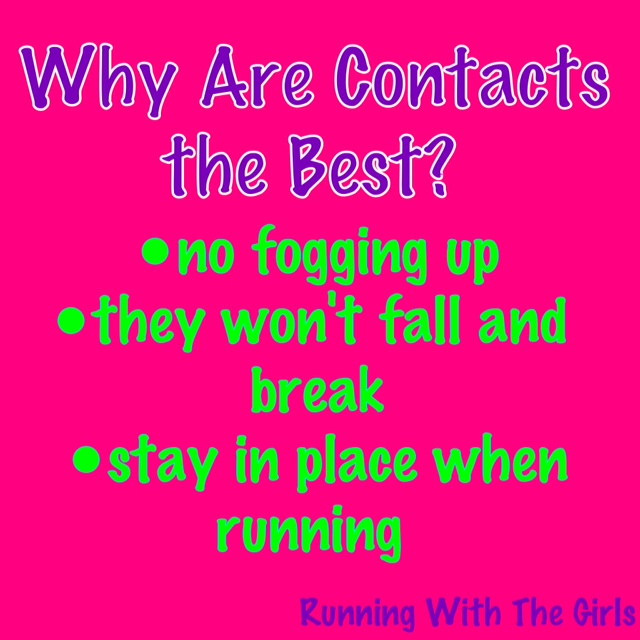 But for running, he definitely prefers his contacts. 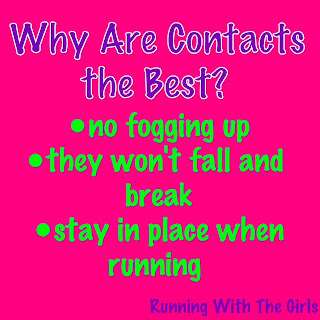 He's run 5 marathons in the past few years, and he always makes sure he wears his contacts for his races and training runs. While I don't wear contacts or glasses, I couldn't imagine wearing glasses when running. It's already frustrating for me to run in sunglasses. They are always moving around, fogging up. They are really just plain annoying. Not to mention - they make him feel more confident, faster, better at running. I wouldn't want Ward to be without his contacts. 1800Contacts is an excellent site for making sure you are stocked up with the contacts you need. They have a wide variety and have affordable rates. We have purchased Ward's contacts from 1800Contacts previously. The ordering process is easy and the shipping is speedy. Disclaimer: This is a sponsored post. We were not required to give a positive post. All opinions expressed on the blog are 100% our own. Besides the clothes kit list 3 things on my check list would be phone (for music) & headphones and Spibelt to hold phone! I wear glasses and RX sunglasses most of the time. I see pretty decently out of my left eye - enough that I don't wear any correction when I swim and can race without prescription if necessary. My glasses sometimes bother me, but I've never been able to get used to contacts. I might try again one of these days, but they make my eyes itch terribly. As for fogging sunglasses, you might try swim goggle defogger (either comes in drops or wipes). It makes all the difference when I swim, but until you mentioned your sunglass issue (which I sometimes have too), I hadn't thought to try it on my regular glasses. I only wear contacts, I have glasses but I rarely wear them. I got contacts in 5th grade because playing sports with glasses was a pain! When I was a catcher I had to put the helmet on and then put my glasses through the front slits, annoying. I also couldn't see when I swam without contacts. I definitely wouldn't be able to run with glasses!